Looking for a window replacement, custom framer, or siding contractor in MA, or CT? You’re in good hands with Wells Custom Framers. With more than two decades of experience and a reputation for putting quality first, it’s no wonder that Wells Custom Framers is one of the most trusted names in the framing business throughout Massachusetts and Connecticut. Dedicated to exceptional craftsmanship with a keen eye for fine details, Wells is committed to exceeding our clients’ expectations on projects big and small. From a full remodel or home addition, to a simple window installation, or window frame replacement, the skilled framers and residential window installers at Wells know what it takes to get the job done on budget and on time, every time. We know how important your home or business is to you, that’s why we make it our first priority to stay up to date on the latest industry practices and installation techniques to give our clients the best possible service available. Certified by the American Architectural Manufacturers Association (AAMA), and experienced in everything from large scale commercial construction to custom residential framing and one-of-a-kind architectural window installations, we have the experience, knowledge and creativity to execute your vision with the highest standard of quality and care. Whether you’re looking to boost property values with a kitchen and bathroom remodel, make your home more energy efficient with new windows and doors, or just spruce up your curb appeal with some brand new siding, our talented team of framing experts will work with you to bring your project to life. 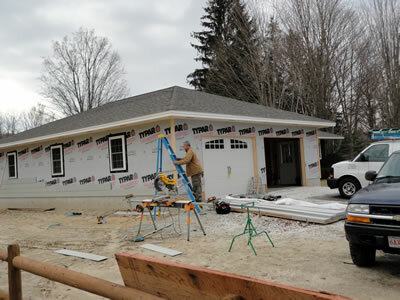 From Berkshire County Massachusetts to Litchfield County Connecticut, when it comes to window installation and framing contractors, MA and CT trust Wells Custom Framers.